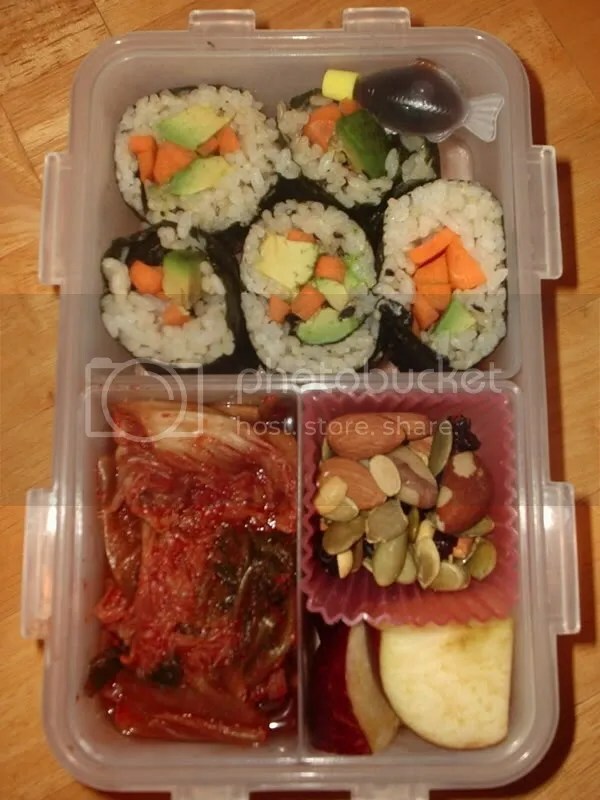 I recently caught a cold and wasn’t feeling too well last night when I needed to make the bento for today. 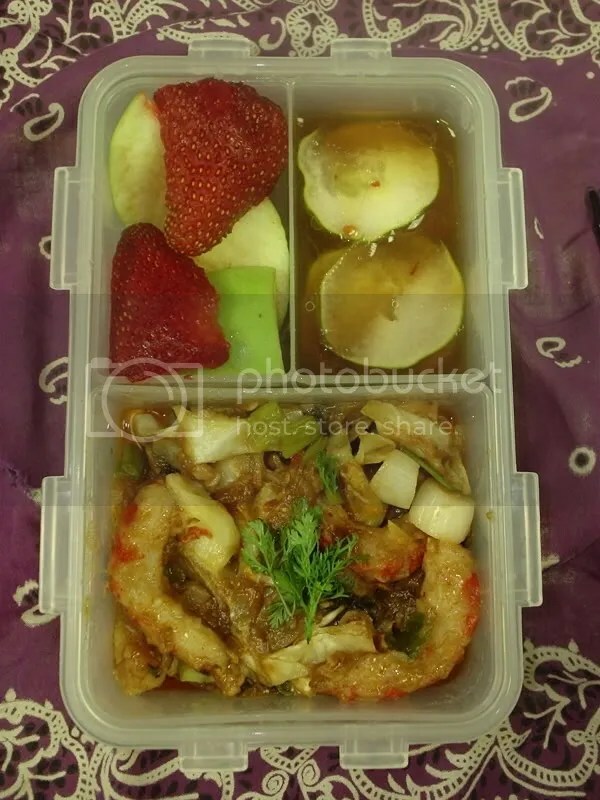 So this bento is really simple, but I think it still looks nice. 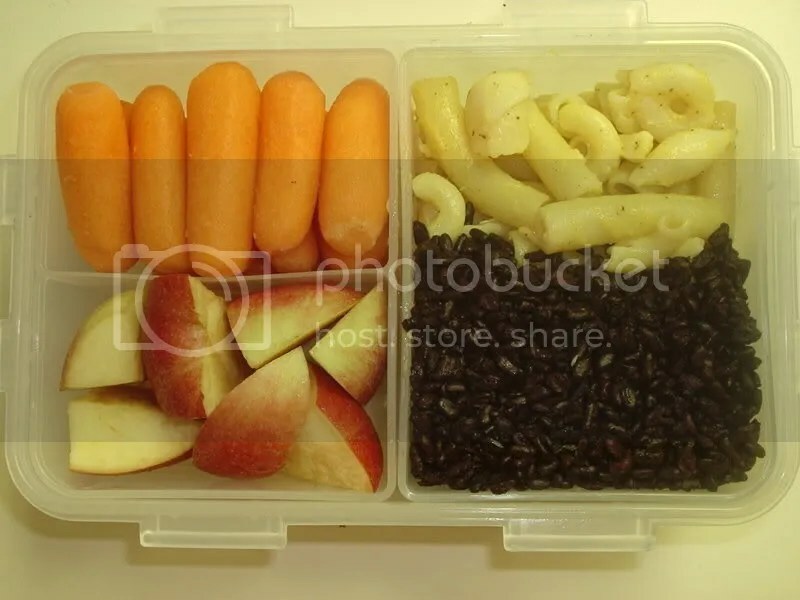 It has leftover vegan mac & cheese and forbidden rice, baby carrots, and sliced apple. Last night when I was making this bento, I thought some of the little homegrown tomatoes we had looked kind of like faces. So I made one into a cute little face. This bento also has some leftovers from dinner, the au gratin potatoes, brussel sprouts, and avocado. I found out that brussel sprouts are really good with avocado. Try it out sometime! I also added a little hot sauce to the avocado to add some extra flavor for dipping the vegetables in. 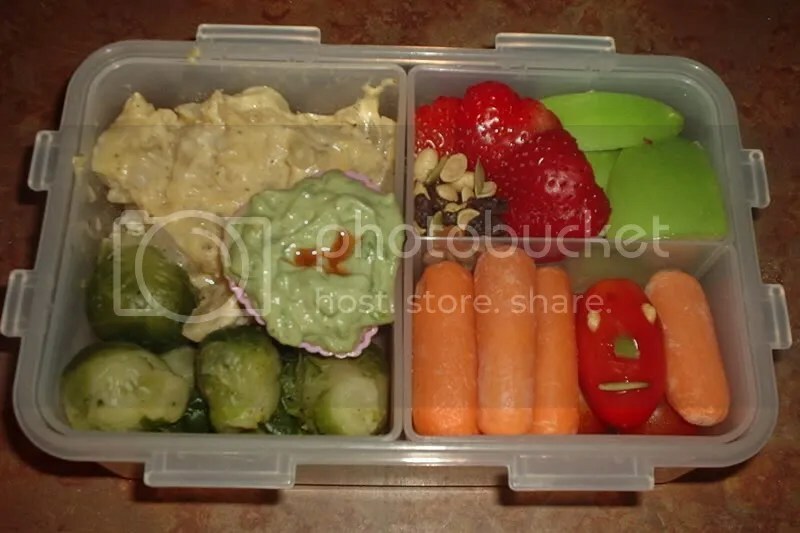 I also added some green apple, strawberries, mixed nuts/dried fruit, and baby carrots and tomatoes. I entered this into a competition also. Click here to check it out. 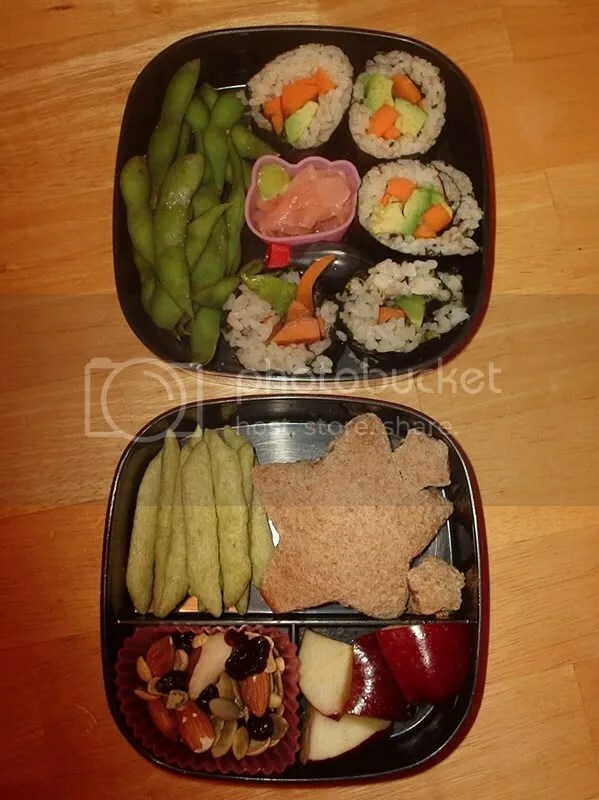 I made this bento for my lunch on Monday, but I’ve been busy and haven’t got to post it until now. 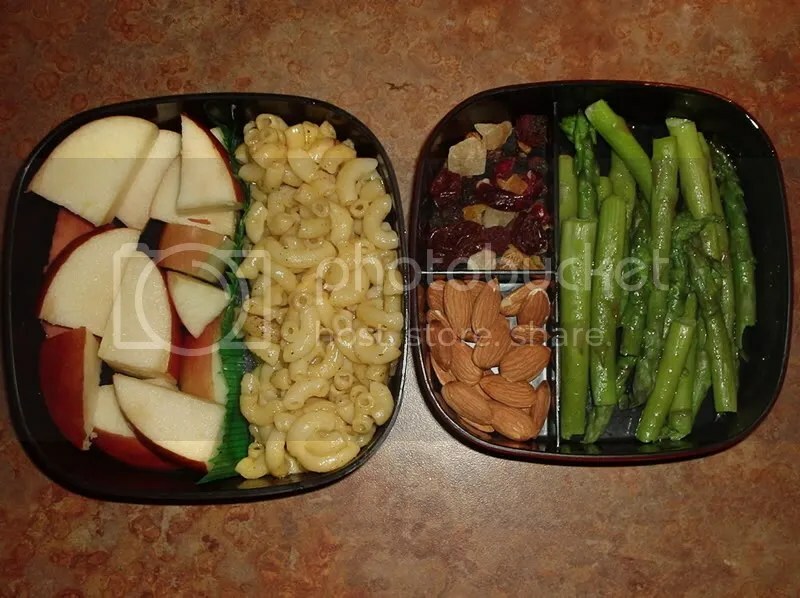 I have a bento made already for tomorrow, but I shall post that in the morning. For this I found some old onion and potato pierogies in the freezer that needed to be eaten. So I boiled some water and threw 4 in and some edamame. I really like snacking on the edamame, I was crazy for never buying some before. 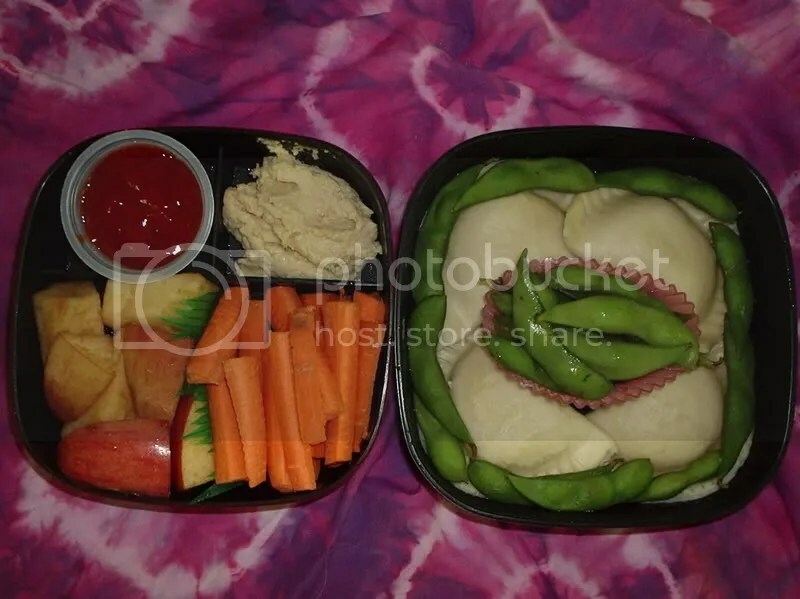 While the pierogies and edamame were cooking, I cut up a carrot and some apple and put some hummus and ketchup in the bento. 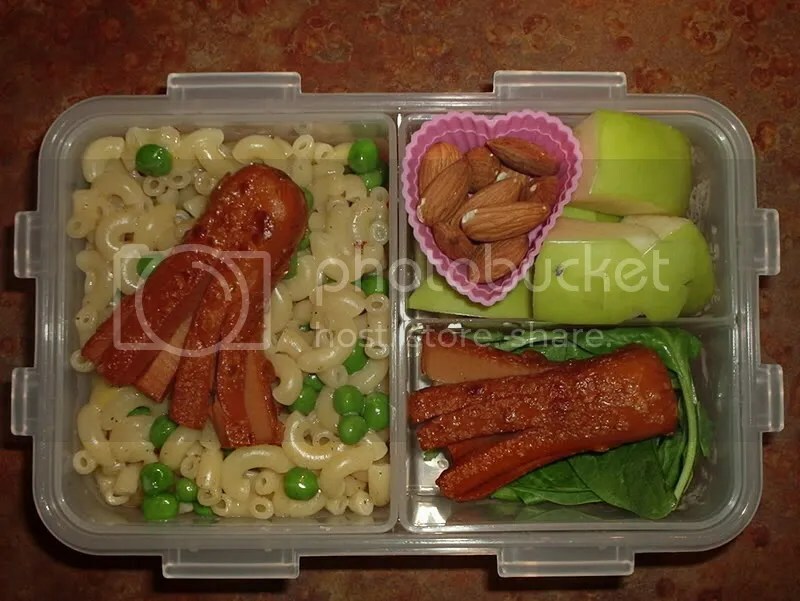 I didn’t warm this bento up when I ate it for lunch. The pierogies were okay cold, but they would have been better re-warmed. Everything else was great room temperature though.